Dorothea Brooke is an ardent idealist who represses her vivacity and intelligence for the cold, theological pedant Casaubon. One man understands her true nature: the artist Will Ladislaw. But how can love triumph against her sense of duty and Casaubon's mean spirit? Meanwhile, in the little world of Middlemarch, the broader world is mirrored: the world of politics, social change, reforms; betrayal, greed, blackmail, ambition, and disappointment. 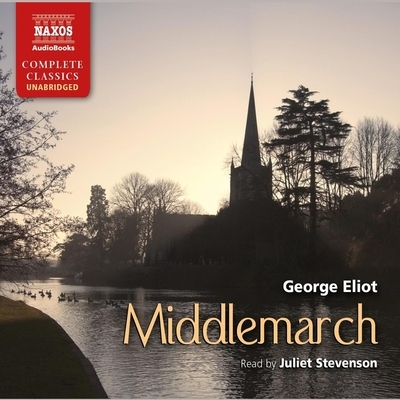 Dorothea Brooke is an outstanding heroine; Middlemarch is filled with characters that are vivid and true, comic and moving. It is one of the greatest novels in the English language.